The Presidential Palace in a statement the other day, condemned Taliban’s announcement of the so-called spring offensive and said it was an evident sign of the will of the group to continue the “illegitimate” war in Afghanistan. According to the statement, Taliban’s push to continue war in Afghanistan is happening at a time that the country’s and the world’s religious scholars have called Taliban’s fight against the people of Afghanistan an ‘evil’, not Jihad. The statement also clarified that the Afghan government has not announced operations, but it has removed all the barriers on the way of peace. The statement says that by announcing offensives, the Taliban has often targeted “innocent people in Afghanistan” while they have been dictated by “strangers” and that they have used civilian houses as shield. Meanwhile, Senior Afghan politicians, including former president Hamid Karzai and senate chairman Fazel Hadi Muslimyar have strongly lambasted the Taliban’s announcement of spring offensive, calling it an attempt to sabotage the ongoing peace process. 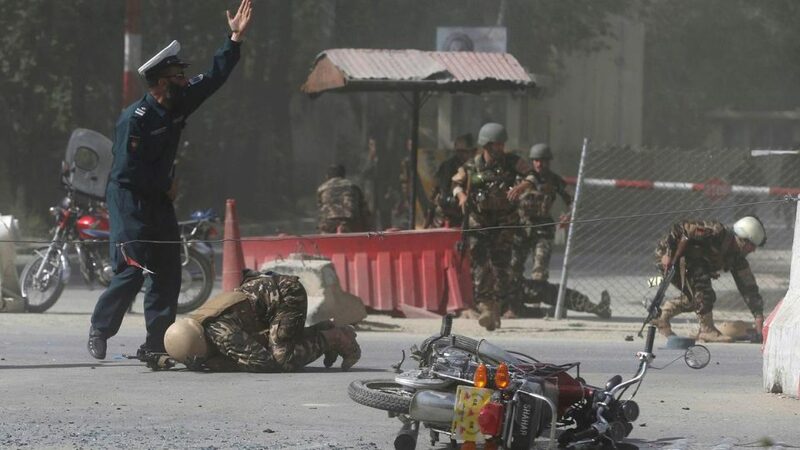 Calling the ongoing conflict in Afghanistan as an imposed war that served the interest of outsiders, the politicians said on both sides only the Afghan were killed and maimed and the conflict only offered destruction and devastation and nothing else, but Afghanistan. They urged all the warring sides that instead of waging fresh violence, they should focus all their efforts and energy on ceasing the bloodshed and bringing peace and stability to the war-torn nation. President Mohammad Ashraf Ghani offered the Taliban to open their political office inside Afghanistan because the Afghans were desperate for peace which was their long-standing demand. Afghans showed the world that they are peace loving people and are ready to offer any kind of sacrifice for peace, but in response the Taliban announced their new offensive and showed the world they do not want peace, but war. Refusing Afghans’ proposal for talks and continuing their insurgency against Afghan soldiers and civilians, the Taliban have already ushered in a foul game and the peace talks are unlikely to come to fruition if the group choose war or peace on the order of their masters. Meanwhile Taliban’s claim that they have announced their offensive in response to Afghan government’s Security Plan it totally reckless. Government’s security plan titled Khalid is to better provide security for the upcoming presidential elections as well as to prepare the ground for intra-Afghan dialogue for ensuring permanent peace and security in the country. Instead of intensifying the violence and bloodshed in the country, Taliban should work hand-in-hand with Afghan government and the international community to make a discernible change in the lives of all Afghans by reaching to a sustainable peace, so they feel the upward lift of economic and social progress. But if reject all means to peace in the country, then the government and its allies while negotiating peace with the Taliban, must put all necessary pressures on the group, even in the fighting fronts. Only with using such approaches the enemy may compel to accept a fair peace talk. Retreating against a bloodthirsty group and killers of thousands of people which repeatedly showed obstinacy which will never leads to real reconciliation and even has adverse consequences.